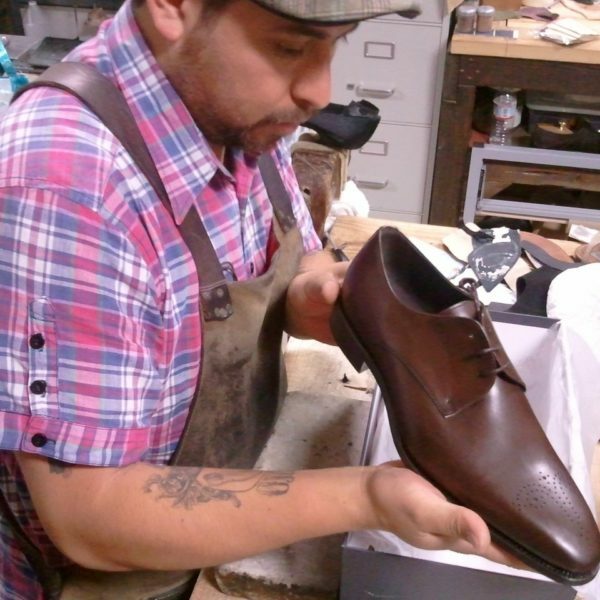 I posted a few weeks ago about Andrew Lock Shoes, a new internet-based shoe brand that’s selling Spanish-made Goodyear-welted shoes for about $250 a pop. 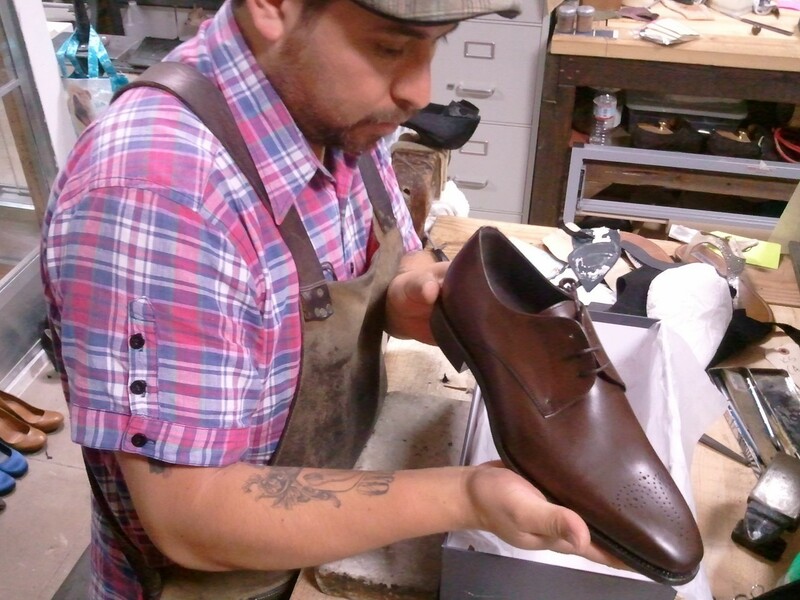 The promise was great, but I asked them to send a pair for review, and took them over to my favorite shoe expert, shoemaker Raul Ojeda of Don Ville Shoes in Los Angeles. 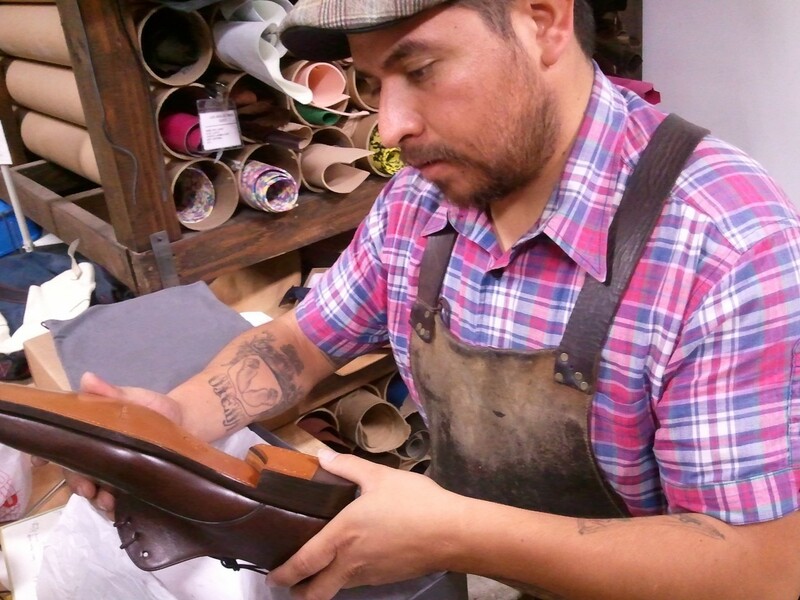 You might remember Raul from our Shoes episode in season one. Raul’s been making and repairing shoes for most of his adult life, so I thought he’d have some perspective on how Andrew Lock shoes stack up. 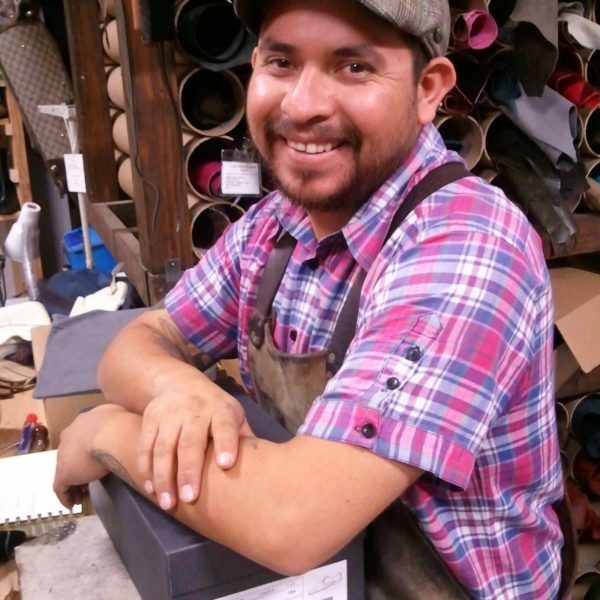 Raul gave the shoes quite the looking over, and a little bit of a tearing-apart. At one point he violently tore out an insole, before casually gluing it back in. His verdict? Andrew Lock has a winner on their hands. These are shoes as well-made as competitors that cost as much as a couple hundred dollars more. The only fault Raul found was the foam heel padding, which cushions heel portion of the insole. He said it was very common to use low-quality foam here, and what he found he wasn’t nuts about. A more expensive shoe might use a more durable foam, or be lasted to cup the heel so that cushioning is unnecessary. Still, he said, this was a pretty small complaint. His answer was yes, absolutely. 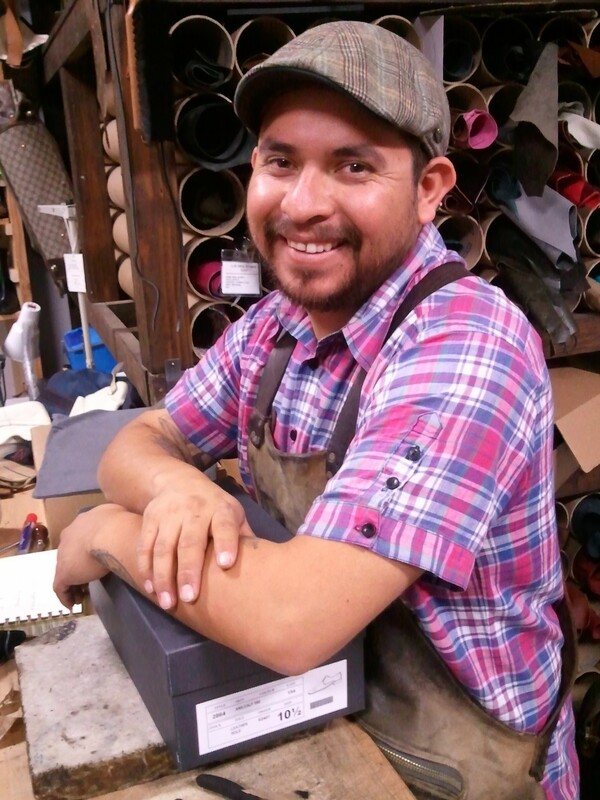 There might be a bit of difference in the hides used, Raul said, but if there is, it’s small. And speaking of styling: I like the look of the pair I handled. A bit more shape in the last, a bit of Italianate influence on a relatively traditional style… but not so crazy that I’d hesitate to call it “classic.” I’d call them sharp. At $250 shipped, Andrew Lock shoes are competitive with brands that charge twice as much. That’s a pretty remarkable achievement. Along with Meermin, which Derek has reviewed here, it sets a new price low for quality dress shoes, well under the $350 or so you’ll pay for Allen-Edmonds, the previous value champ. And like Meermin, it does so with a more distinctive, attractive product that won’t make you look like an insurance agent from Des Moines. Thumbs up.